This Water Commissioner position exists to ascertain available water supply and distribute, control and regulate the waters in Division 1 Water District 8, including portions of the South Platte River, Cherry Creek, Plum Creek and tributaries, on a daily basis pursuant to water decrees, state statutes, and substitute water supply plans. Additionally, under the direction of the Division Engineer, this position exists to record and compile permanent records of water diversions and use; disseminate and explain information pertaining to water availability and use to the public;; monitor dams for unsafe conditions,; investigate new water rights and change of use applications for potential injury to existing water rights; coordination and administration of transmountain diversions; administration of water rights that include large municipal, industrial and irrigation water users; coordination and administration of several reservoirs including Cherry Creek Reservoir and Rueter-Hess Reservoir, storage and releases; administration of daily exchanges; administration of numerous augmentation plans; and to serve as a guide and authority to water users. This position requires knowledge of the different types of water rights and the ability to disseminate this information as may be required. This position also reviews, creates and operates computerized spreadsheets and databases. Must be knowledgeable of water distribution and regulation, general understanding of Colorado Water Law, Division 1 accounting principles and basic dam safety inspection procedures and techniquest. Cherry Creek photo credit Live Urban Real Estate. The annual sediment flushing exercise will be conducted at Cherry Creek Reservoir on Wednesday, May 24, 2017. Katie Seefus, water manager in the Corps’ Omaha District office, says the exercise involves high releases from each of the five main outlet gates at Cherry Creek Dam, located south of Interstate 225 in Aurora, Colo. “When the gates are opened, the high velocity of the water leaving the reservoir scours the area immediately upstream of the gates and transports sediment with the flow,” said Seefus. This sediment flush is required to allow proper operation of the outlet gates. Omaha District Commander Col. John Henderson asks the public to be aware that the high flows will take some time to reach the downtown channel, and flows from the last gate opened will not reach the downtown channel until late afternoon on Wednesday. The high flows will cause higher than normal creek stages and potential flooding of bike paths and stream crossings. “In the interest of public safety, I urge the public not to attempt to cross the stream during this event,” says Henderson. Photo credit The Greenway Foundation. In October 2015, the U.S. Army Corps of Engineers Omaha District began studying modifications to the Cherry Creek Dam Water Control Plan. A water control plan outlines predetermined regulation requirements for federally authorized project purposes. 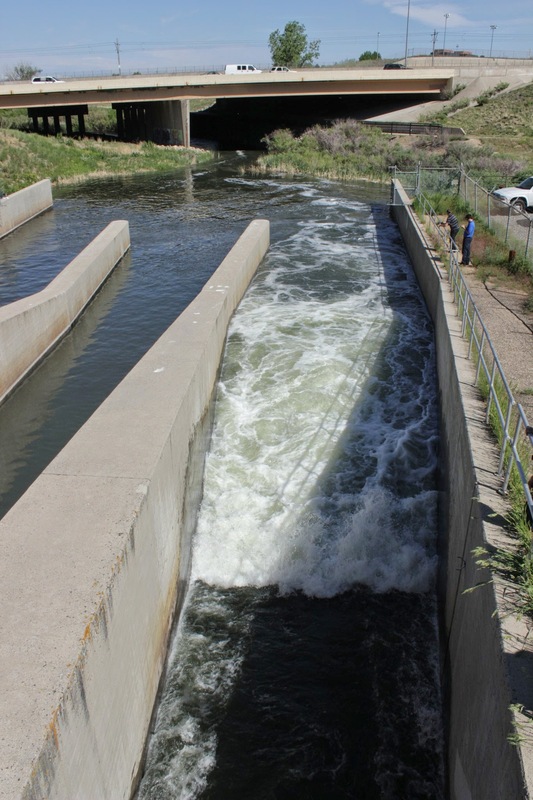 Historically, Cherry Creek Dam has been regulated as a system with Bear Creek Dam and Chatfield Dam targeting a maximum flow of 5,000 cfs at the South Platte River at Denver, Colorado streamgage to mitigate flood risk in Denver, Colorado. 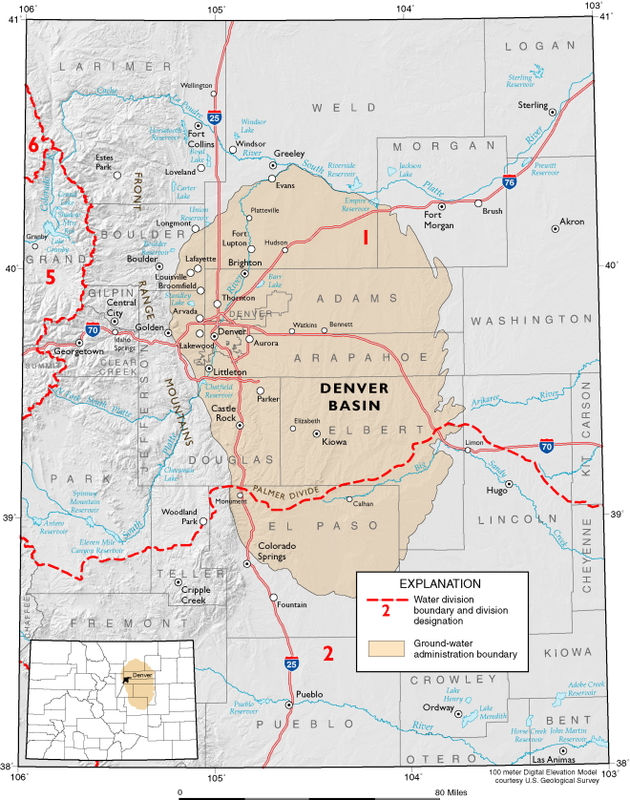 The purpose of the Cherry Creek Dam Water Control Plan Modification Study (WCPMS) was to reduce the potential risk of overtopping and failure of Cherry Creek Dam during extreme flooding events by releasing more water from the dam while limiting exposure to potential downstream damages. The Cherry Creek Dam WCPMS analyzed the impacts due to six release alternatives and recommended an alternative that requires Cherry Creek Dam releases of 7,000 cfs if the reservoir reaches elevation 5590 feet Project Datum (PD), which is 24 feet higher than the record pool set in 1973. Evacuating flood water from Cherry Creek Reservoir at an accelerated rate reduced the risk of overtopping and failure during an extreme rain event and resulted in minimal incremental downstream damage following single rain events that have limited rainfall downstream of the dam. Some risk of additional downstream damage is possible if releasing during subsequent storm events, however, due to the uncertainty in forecasting a thunderstorm’s intensity, duration, and location, the risk is outweighed by the need to release flood water and reduce the risk of Cherry Creek Dam’s overtopping and failure. Public and agency meetings were held in January 2016 and again in September 2016 to collect and discuss comments from agencies and the public. All comments were resolved by December 2016 following a comment extension in November 2016. The environmental analysis resulted in a Finding of No Significant Impact (FONSI) in March 2017. Effective April 2017, the Cherry Creek Dam, Chatfield Dam, and Bear Creek Dam water control plans were modified to reflect a 7,000 cfs release from Cherry Creek Dam if the reservoir reaches elevation 5590 feet. Releases from Chatfield Dam and Bear Creek Dam were not increased in the updated water control plans. Background: The Cherry Creek Dam project was authorized in the 1940s for the primary purpose of mitigating flood risk to the downstream city of Denver from floods originating on Cherry Creek above Cherry Creek Dam. 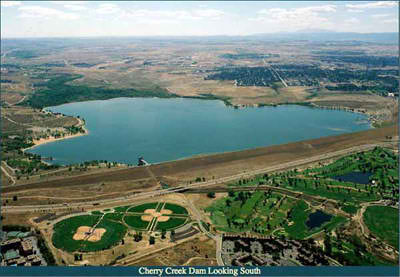 Cherry Creek Dam and Reservoir is located on Cherry Creek, 11.4 miles southeast of its confluence with the South Platte River in Aurora, Colo. The county held a late afternoon public workshop on Nov. 14 for proposed changes to the county’s water zoning plan. Conversation was diligent and thorough, despite a sparsely attended meeting of six people in addition to county staff. The exact portion of the plan under review is Section 18A, which helps determine if a proposed development has an adequate water supply, particularly in terms of quality, quantity and dependability. 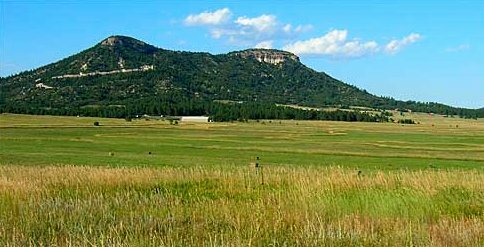 Douglas County’s Board of Commissioners first adopted 18A in 1998, but it has been revised in 2002, 2005, 2007 and 2013. County experts said the regulations are primarily for new housing developments or properties seeking to rezone for reasons like expansion. Additionally, they mostly pertain to unincorporated Douglas County, as most municipalities or other water districts have their own regulations. The main changes in Section 18A were to remove about 15 pages of repetitive sections and more clearly explain if a developer would qualify. But staff also has proposed Section 18B, an entirely new set of regulations that will act as an alternative to Section 18A. As the resolution stands, developers must meet a water demand standard of .75 acre-feet per residence per year. A demand standard is an estimate of how much water a household or development will need, said Kati Rider, a planning resource supervisor with Douglas County. An acre-foot is how water is measured. One way to think of it, Rider said, is to imagine it as the equivalent to the amount of water that woud spread across an acre of land at one foot deep. However, county staff said, the average household uses closer to .40 or .45 acre-feet. The .75 standard is costly for developers and may require them to source more water than necessary. “This revision may matter to residents as it may be a way to encourage new development to utilize renewable water resources, rather than groundwater, in all areas of the county,” Rider said. Under 18B, developers could propose higher-density developments if they also promise to use less groundwater, rely on more renewable water sources and prove they can accomplish that goal. Not more than 50 percent of the water supply could come from non-renewable sources. Although the overall amount of water use might be greater, the hope is to encourage a more environmental approach. If the amendments continue to gain traction, they would pass before the Planning Commission and the Board of Commissioners for final approval. Public comment is accepted at http://www.douglas.co.us through Nov. 23. Information aboutthe amendments may be found through the county’s Project Records Online (PRO) online tool. Commissioners will schedule a work session to review the input after public comment closes. 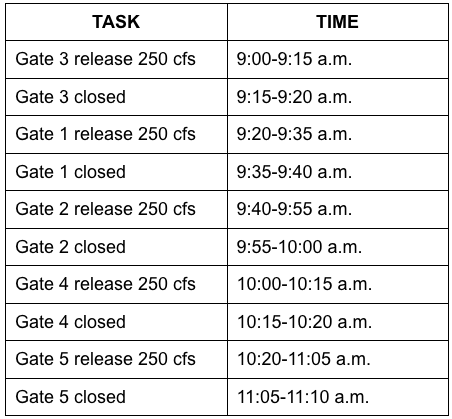 Three public meetings to provide an update on the status of two studies taking place at Cherry Creek Dam are scheduled for the week of September 20. The U.S. Army Corps of Engineers will host meetings to provide a status update on alternatives under consideration to address risks from extreme storm events associated with Cherry Creek Dam including a study to modify the dam’s water control plan. Tuesday, Sept. 20 from 6 – 8 p.m.
Wednesday, Sept. 21 from 5:30 – 7:30 p.m.
Thursday, Sept. 22 from 5:30 – 7:30 p.m. The public meetings will include a presentation and an open house to provide the public an opportunity to ask questions about Cherry Creek Dam and the alternatives being presented and considered as part of the Dam Safety Modification Study and Water Control Plan Modification Study. Meeting materials will be made available online following the meetings at http://go.usa.gov/cQ7hP. Background: Cherry Creek Dam and Reservoir is located in the southeast Denver metropolitan area on Cherry Creek, 11.4 miles upstream of its confluence with the South Platte River. In 2005, (post-Katrina) USACE began screening its dams (approximately 700 across the U.S.) to determine each dam’s risk level. Cherry Creek Dam received an elevated risk rating primarily because of the large downstream population and the potential for overtopping during an extremely rare precipitation event. A dam safety modification study began in 2013 and is being conducted in accordance with USACE policy as described in Engineering Regulation 1110-2-1156 “Safety of Dams – Policy and Procedures.” An Environmental Impact Statement is also being prepared pursuant to the National Environmental Policy Act of 1969, as amended. Photo via Audubon (Abby Burke). You Can Help Rivers: Create Habitat! Urban Water Conservation Through Native Landscaping. A Colorado River Day Webinar. Did you know native landscaping can save both significant water and money? When we say significant, we mean it! Find out how a neighborhood in southeast Denver saved 15 million gallons of water and $100,000 annually by transforming to native landscaping and incorporating water efficiency into everyday life. The Cherry Creek 3 Homeowner’s Association (HOA) won the 2015 Colorado WaterWise Conservation Award for their efforts! HOA Volunteer President Don Ireland will talk about how he and fellow volunteers led this 251-condo development into a new era of water conservation while simultaneously establishing a new landscaping plan that has attracted many new birds and pollinators into the neighborhood. 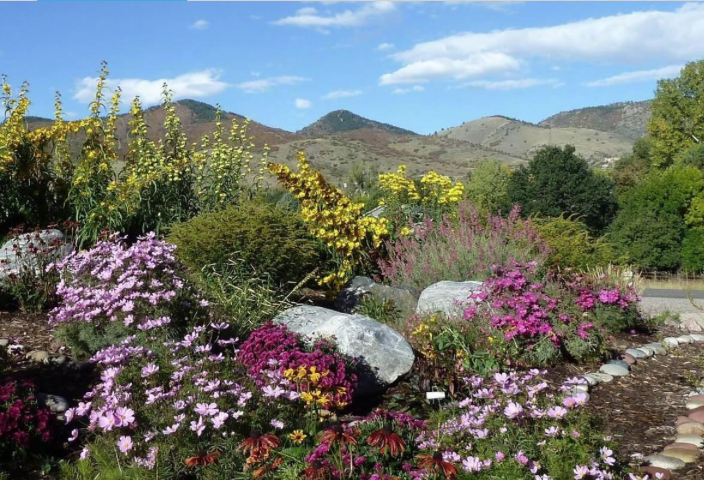 This HOA, without formal training in water conservation but with a burning desire to “do the right thing,” has been a poster child for water conservation and Audubon Rockies’ Habitat Hero program around the Front Range and beyond.